Now for something a little different, comrades. Perfect for your office wall. Let your boss know that too much abuse & criticism may have serious consequences…. 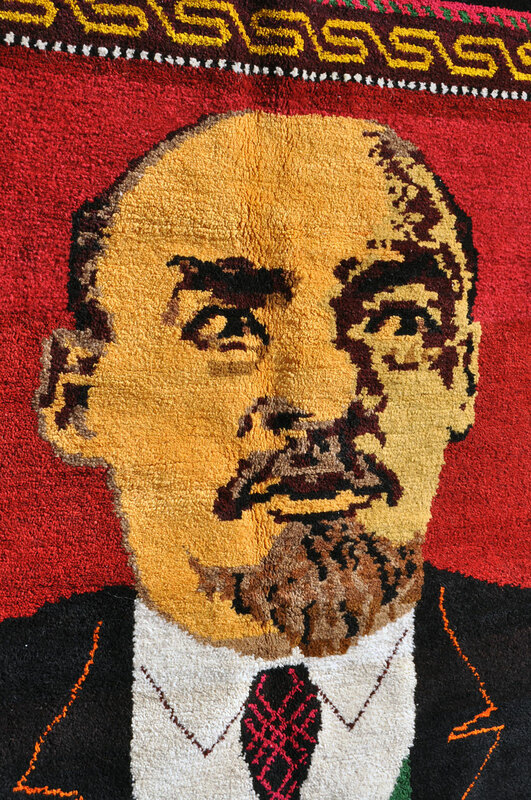 Handmade Soviet era LENIN rug. 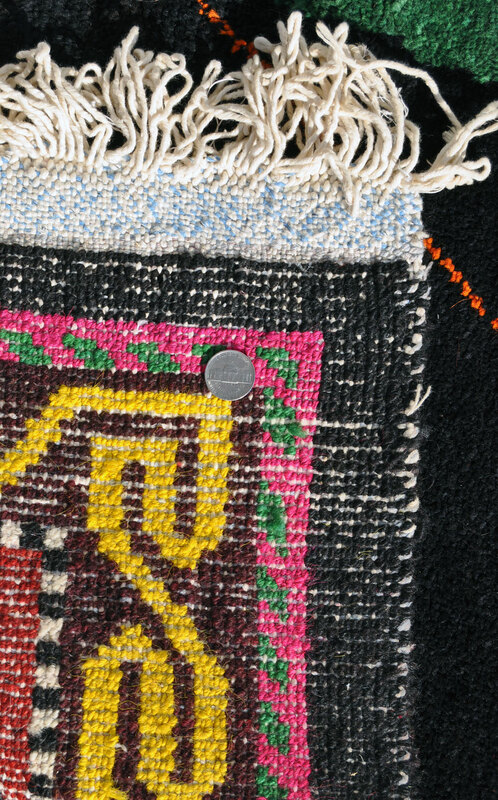 Created by tribal Kirghiz or Kazakh weavers in Kazakhstan. 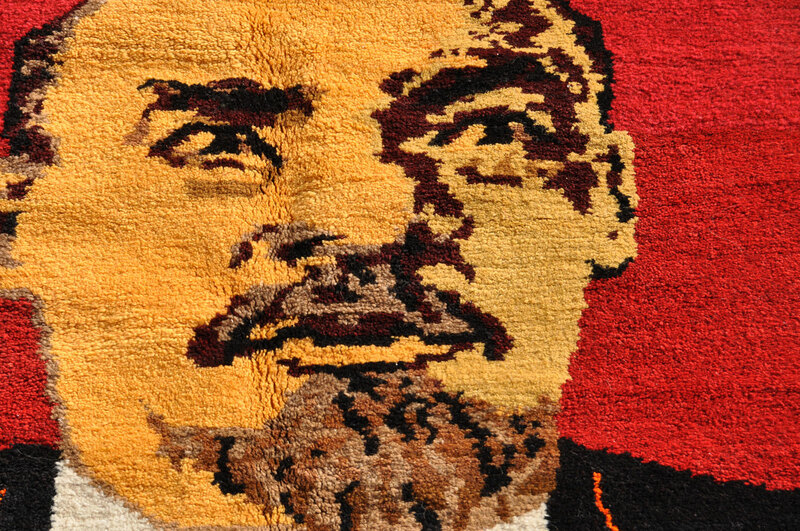 Most likely made in late 1960s to honor the centennial of Lenin’s birth — which was 1970. 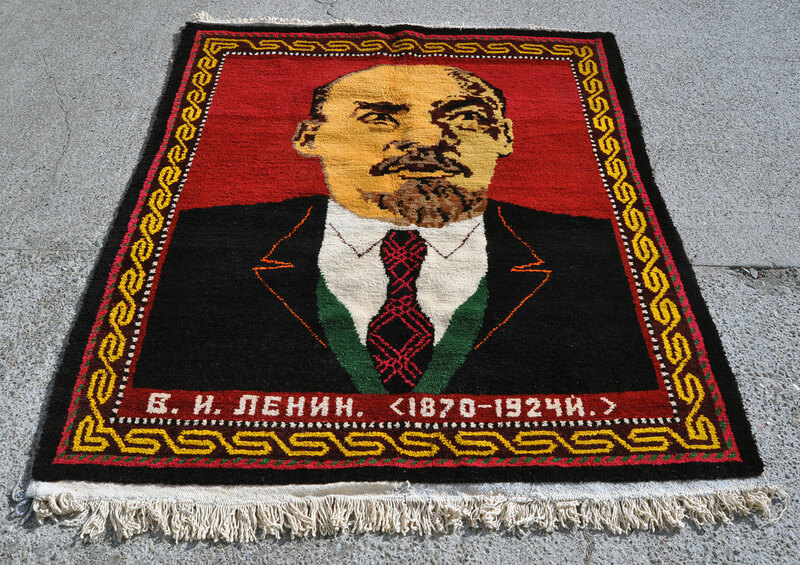 Lenin was born as Vladimir Illyich Ulyanov in the city of Simbirsk on the Volga River. As the primary architect of the Bolshevik Revolution, he became the ‘founding father’ of the Soviet Union. 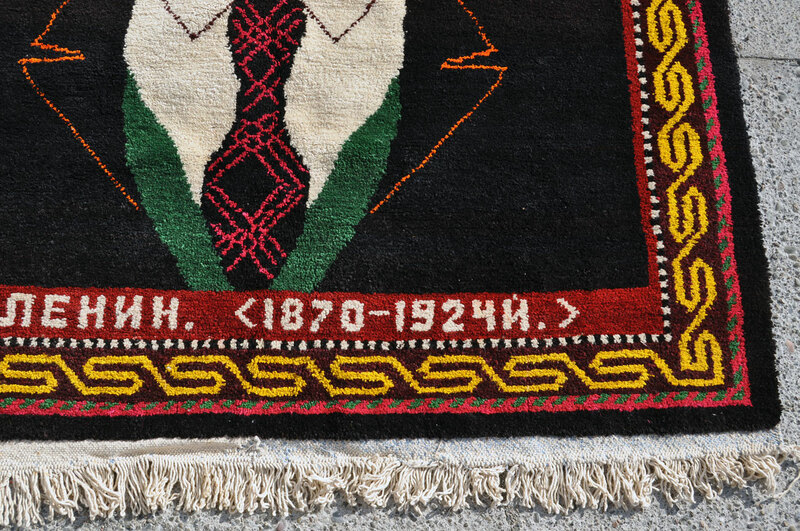 He lived from 1870 to 1924, the dates deftly woven into this ebullient memorial rug. 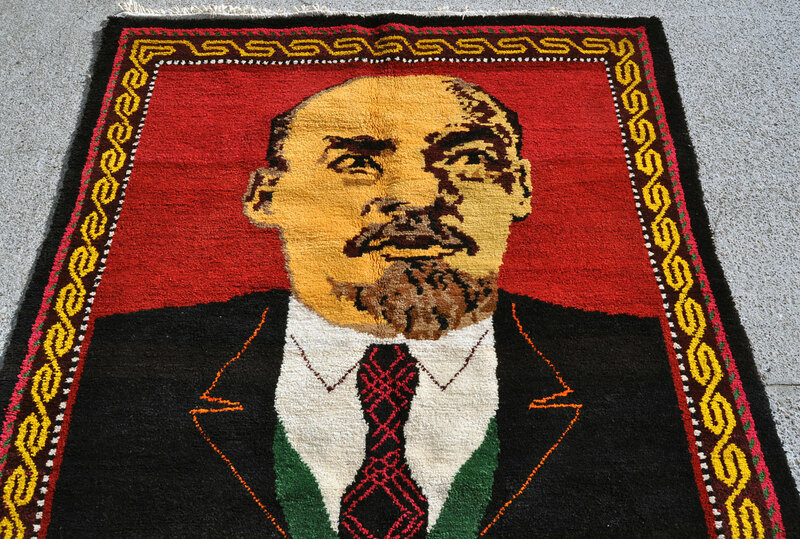 Lenin rugs are rare and collectible, and most are machine made. This is handmade natural wool on natural cotton warp. The caption reads V.I. Lenin. (In Cyrillic Russian.) Very good overall condition with minor wear. Size is 5 ft. 2 in. by 4 ft. 6 in. with fairly thick wool pile. Bright bold colors–including revolutionary red– with elegant borders. 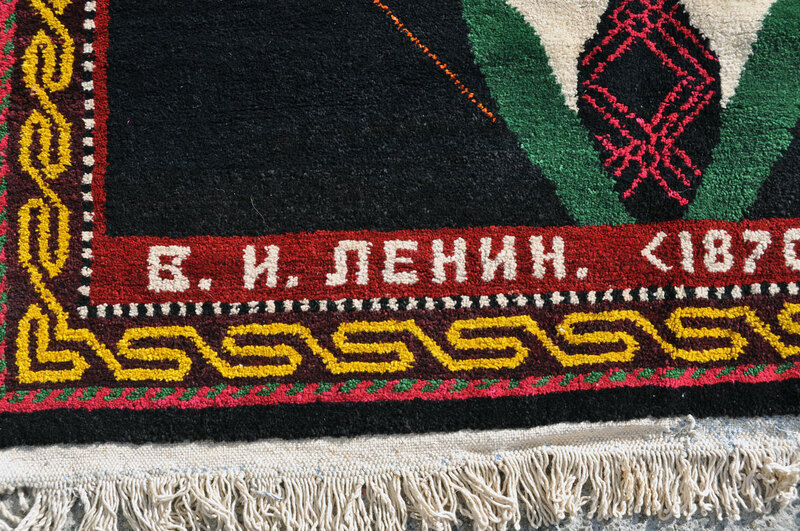 Great opportunity to acquire a fascinating and unique historical rug woven in the Soviet Union. 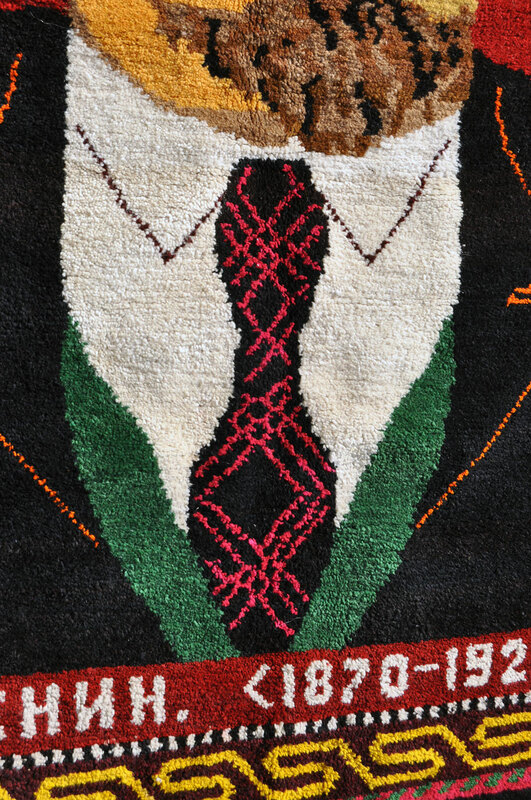 This rug would certainly work on the floor but would also make a superb wall hanging. Price is $425. Shipping is $42 within continental U.S.